The United States and Japan are still the main investors in top South-east Asian industries, while China is eyeing smaller markets and niche sectors, HSBC’s Asean economics team has said. Talks between the Association of Southeast Asian Nations (ASEAN) and its regional trade partners are gaining urgency, as they strive to conclude a far-reaching, 16-member trade pact. Southeast Asia is expected to see greater demand for health care services, for services that increase the mobility of its populations, and for entertainment, experts said Wednesday, attributing these trends to the rise of the middle class in the region and to its relatively young populations. Minimum wage rates across ASEAN are rising gradually to match the region’s increased cost of living and boost domestic demand. The region is home to four of the world’s fastest-growing economies, including Singapore. Local businesses are in line for greater investment opportunities in Asean after the Asean Economic Ministers (AEM) on Wednesday signed two agreements to remove barriers to goods and services trade within the bloc. The government is developing an ICT master plan for Asean connectivity to implement practical guidelines for digital collaboration across Asean countries. The U.S. Department of Education has awarded NIU’s Center for Southeast Asian Studies (CSEAS) nearly $2.5 million over the next four years to continue promoting the study and research of Southeast Asian languages and countries. In a recent White Paper prepared by data and analytics company GlobalData for INTERMAT ASEAN 2018 and Concrete Asia 2018, the region’s trade shows for construction, infrastructure and concrete sectors to be held in Bangkok on September 6-8, 2018, it was revealed that construction output in the member states of the Association of South-East Asian Nations (ASEAN) would expand by over 6% yearly on average during 2018–2022. China will devote, in a more active role, into the ASEAN and China Cooperative Operations in Response to Dangerous Drugs (ACCORD) mechanism, and continue to reinforce the intelligence exchange and law enforcement cooperation with ASEAN countries, said a senior Chinese narcotics control official here on Thursday. 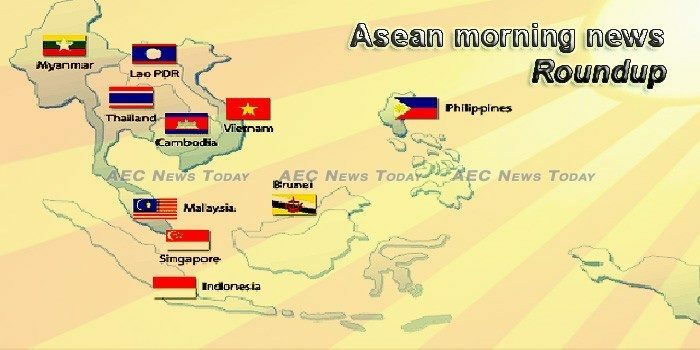 The Association of Southeast Asian Nations (ASEAN) ratified on Thursday its support and solidarity for the reunification of Korea. The 10-member Association of Southeast Asian Nations is seeking more partnerships between small and medium-sized enterprises in ASEAN countries and Japan, the Singapore trade minister said at a regional meeting on Thursday. Asean remains resolute in pursuing stronger economic cooperation with China, Japan and South Korea in the face of growing tensions in the global economy, Singapore’s Trade and Industry Minister Chan Chun Sing said on Thursday (Aug 30). All three of Cambodia’s airports (Phnom Penh International Airport, Siem Reap International Airport, and Preah Sihanouk International Airport) saw a surge in number of passengers and cargo in the first half of 2018, according to a record of the Cambodia Airports. The Cambodian government has ordered an immediate recall of infant milk powder Dumex Mamil Gold after reports emerged in Singapore that the product contained traces of bacteria that was harmful to babies. State-owned mining company PT Aneka Tambang (Antam) has said its gold sales jumped significantly in the first half of 2018 as a result of the weakening rupiah. Indonesia is pushing to nationalize more of its oil and gas assets as it tries to reduce imports and boost government revenue amid emerging market turbulence that has staggered Southeast Asia’s biggest economy. Indonesia’s Hendro said it was a “miracle” to even finish the 50km race walk in Jakarta’s brutal pollution, heat and humidity on Thursday (Aug 30) after he was carried from the finish line on a stretcher. Flooding from heavy rainfall has killed at least six people in northern Laos’ Luang Prabang province since the weekend, an official from the provincial Labor and Social Welfare Department said Thursday, as the Southeast Asian is battered by seasonal monsoons. The Lao Ministry of Energy and Mines (MEM) said the country’s electricity imports from Thailand, China and Vietnam fell by 2 percent year-on-year in the first half of 2018. Natural disasters pose a threat to people in many parts of Laos and authorities are scrambling to carry our relief and repair operations in provinces that have been affected by floods. Petroliam Nasional Bhd (Petronas) yesterday announced improved earnings for the first half of 2018, driven by the Group’s execution of its continuous business improvement initiatives coupled with increased commodity prices. Malayan Banking (Maybank), Malaysia’s largest lender by assets, posted an 18 per cent jump in second-quarter profit on Thursday (Aug 30) as reductions in expenses and loan provisioning boosted performance. Nobel Laureate Aung San Suu Kyi should have resigned as Myanmar’s de facto leader over last year’s brutal army campaign against the Rohingya, the outgoing UN human rights chief has told the BBC. The farm, founded in 2017 by friends Zaw Ye Naung and Marn Thu Shein, is certified by the Myanmar Organic Agriculture Group (MOAG). A Myanmar man who was working at a car accessories factory in Lopburi province of Thailand was allegedly locked in a cage for more than five hours for demanding that fans be installed in the workplace, a Thai-based migrant rights advocate said Wednesday. The shift to a federal constitution will result in an estimated incremental cost of P156.6 billion to P253 billion, and will put pressure on the budget deficit, data from the National Economic and Development Authority (NEDA) showed. The Senate approved Thursday the 2019 budget for the Office of the President (OP) amounting ₱6.77 billion. The government is set to implement 10 big ticket infrastructure projects worth P36.23 billion in 2019, the Department of Budget and Management (DBM) said yesterday. A British court has ruled that a fugitive wanted by Singapore for a rare bank robbery could be extradited after the wealthy city-state agreed to waive corporal punishment if he is found guilty. Philips Personal Health VP Nicholas Lee and Temasek Public Affairs Director Lena Goh have joined the lineup for the Holmes Report’s Asia-Pacific In2 Innovation Summit in Singapore on 11 September, which will focus on the transformation required of the region’s public relations industry. The National Legislative Assembly (NLA) endorsed the 3.3-trillion-baht budget on Thursday that will finance fiscal year 2019 beginning on Oct 1. IT TOOK lawmakers just three hours to approve the Bt3-trillion budget for next year – and with all 206 legislators voting in favour of the bill, analysts believe the military government is sticking to its old school of thought. Thailand’s 86-year-old Queen Mother Sirikit was discharged from a Bangkok hospital on Thursday, the Royal Household Bureau said in a statement, after being hospitalized for influenza. Vietnam saw the establishment of 87,448 new enterprises in the first eight months of 2018, with a total capital of more than VND878 trillion (US$37.8 billion), up 2.4% in the number of enterprises and 6.9% in capital.